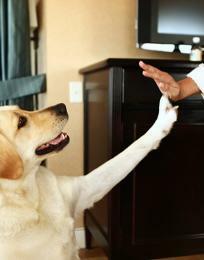 Need a daycation on the coast? 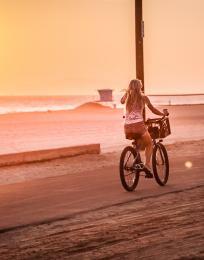 Explore the beauty of Huntington Beach on the complementary Surf City USA Shuttle Coastal Loop! 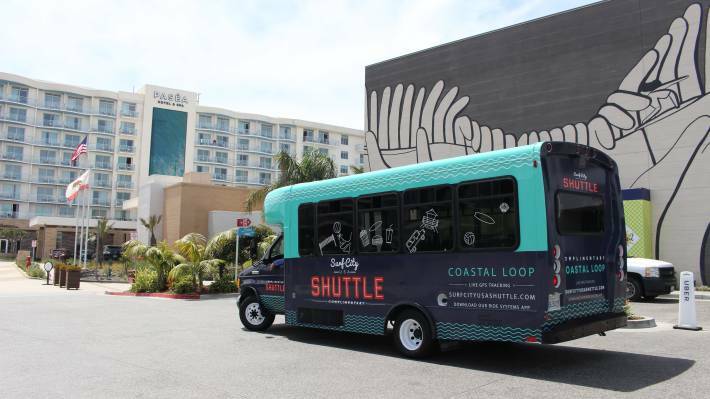 Just park in a public parking area and hop on at one of the five Coastal Loop stops. 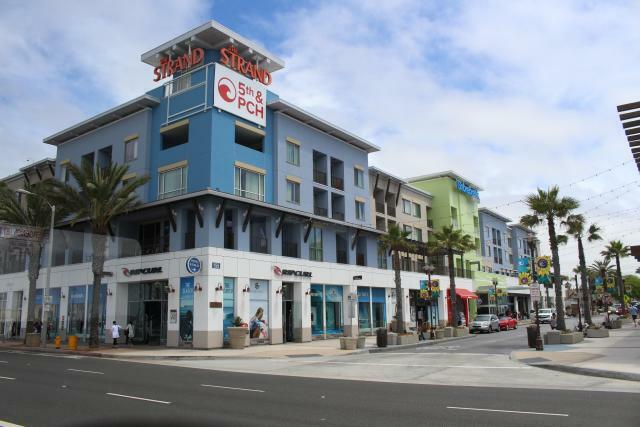 Oceanfront shopping, dining, and activities are just a stop away. The Coastal Loop runs every weekend through Sept. 3. 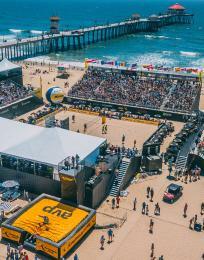 ​Sunday: 10 a.m. - 8 p.m.
Track the shuttle live at surfcityusashuttle.com. Immerse yourself in the history of Surf City USA! 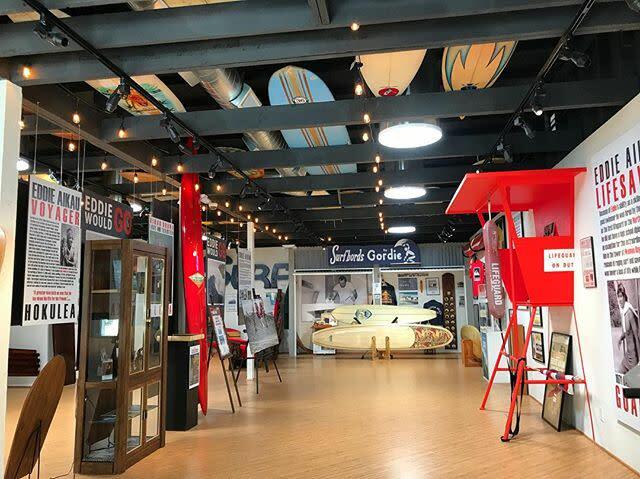 Check out the museum filled with surfboards, sand from beaches around the world, and stories of legends that paved the way for surfing today. Shop your way down 5th street. 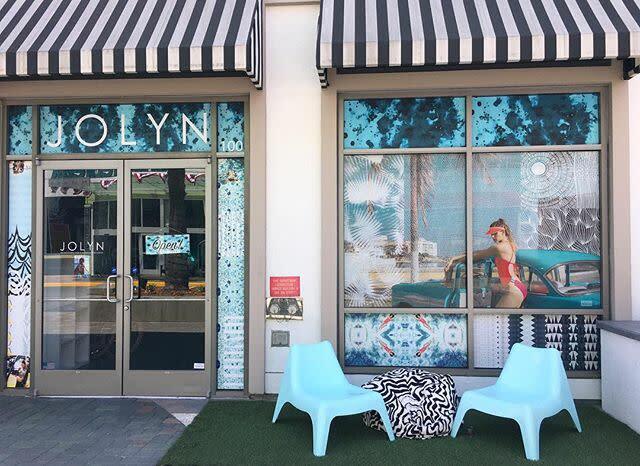 Check out Rip Curl for some beach wear or JOLYN for a new swimsuit. Other shops include Forever 21, Chilli Beans, and Skechers. 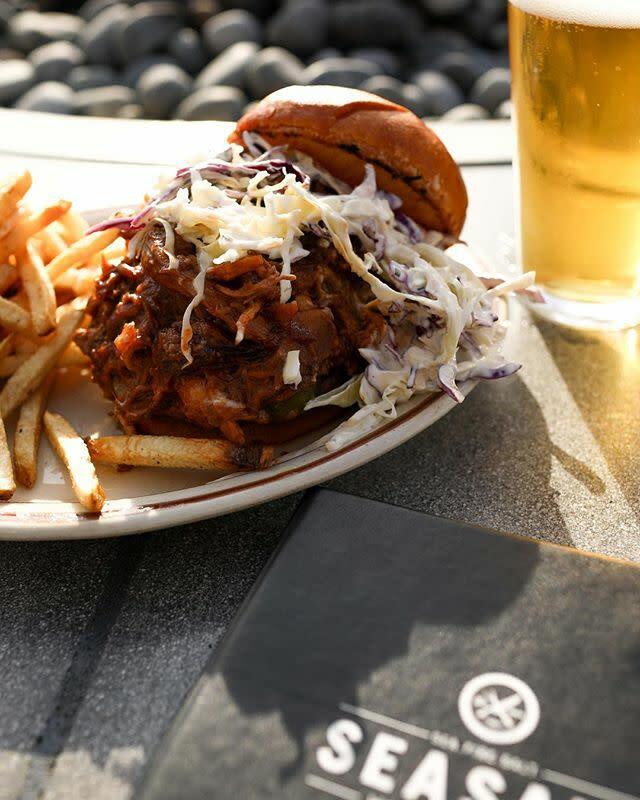 Grab a bite at The Pizza Press or Bruxie, if you&apos;re hungry. You can even peek into the newly renovated Kimpton Shorebreak Hotel to plan for your next overnight stay in Huntington Beach Downtown. Venture south down Pacific Coast Highway to try a delicious take on a west coast deli. 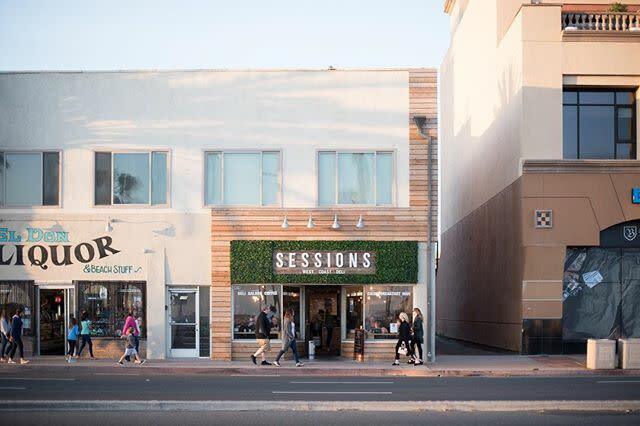 You can’t miss it—the storefront is framed with greenery that continues into the sandwich shop’s trendy green wall, famous for foodie photos. All their unique sandwiches are made with fresh, local ingredients. 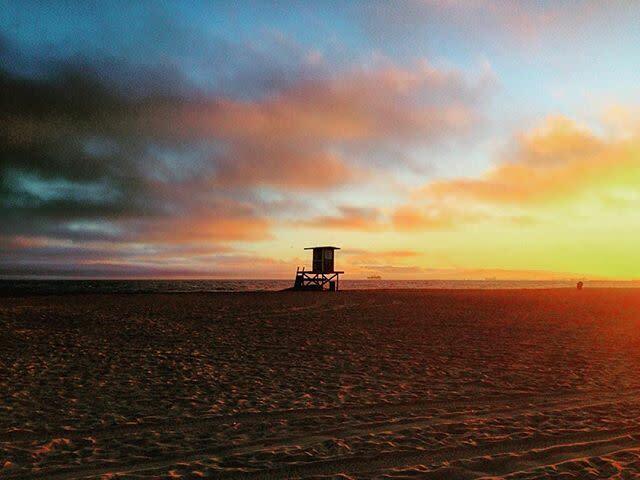 This beach is known by some as the hidden gem of Surf City USA. 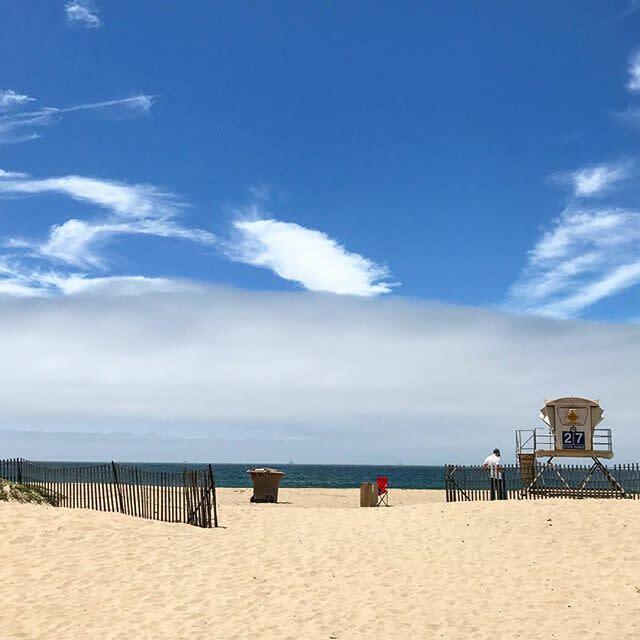 Tucked further north from the bustling Huntington City Beach, this spot is surrounded by beachfront homes, seashells on the surf, and—you guessed it—beautiful sunsets. 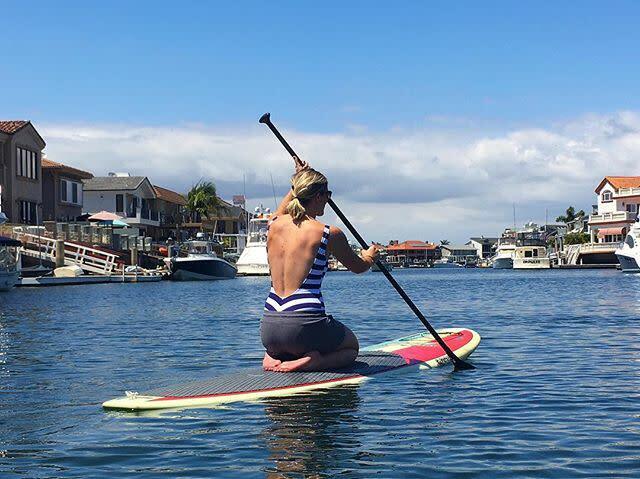 Rent a kayak or paddle board from Sunset Rentals. If you feel like relaxing, rent a duffy boat from Huntington Harbour Boat Rentals to cruise around instead. Walk the five miles of trails to appreciate the natural beauty of the wetlands and the creatures that live there. This is a popular spot for bird lovers and nature photographers. 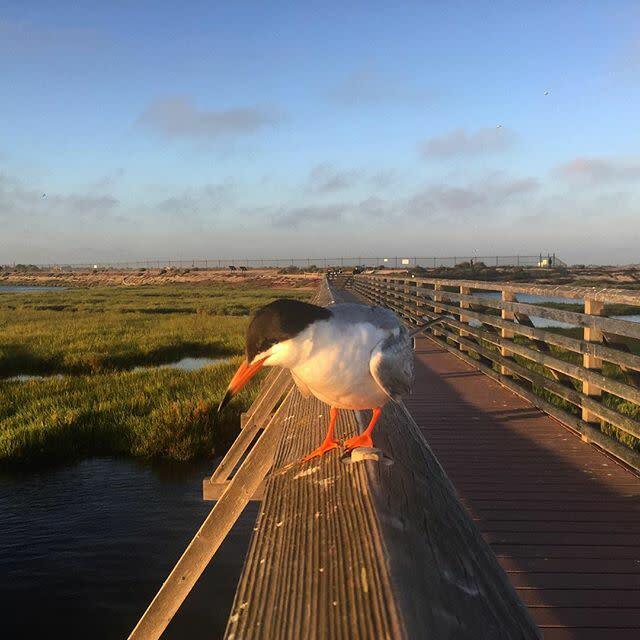 Don’t forget to stop by the Bolsa Chica Wetlands Interpretive Center off of Warner Avenue and Pacific Coast Highway to learn about the land and to access the trail into the 1,400-acre reserve. 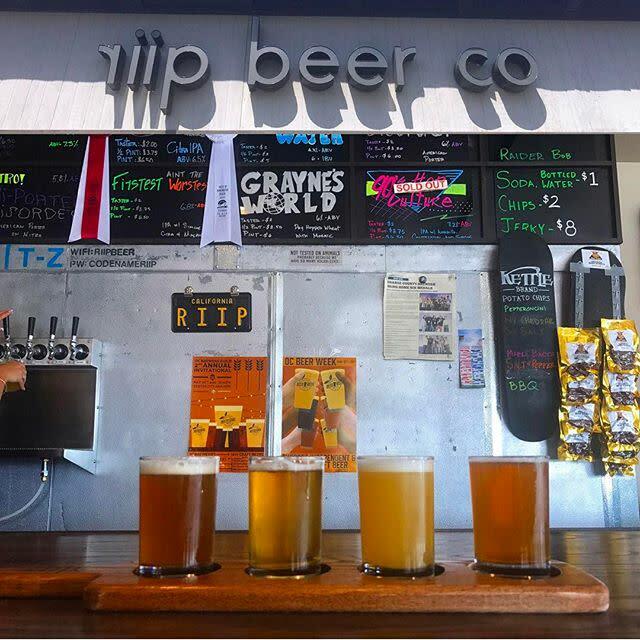 Head over to this Huntington Beach based nano brewery for an afternoon pick-me-up. 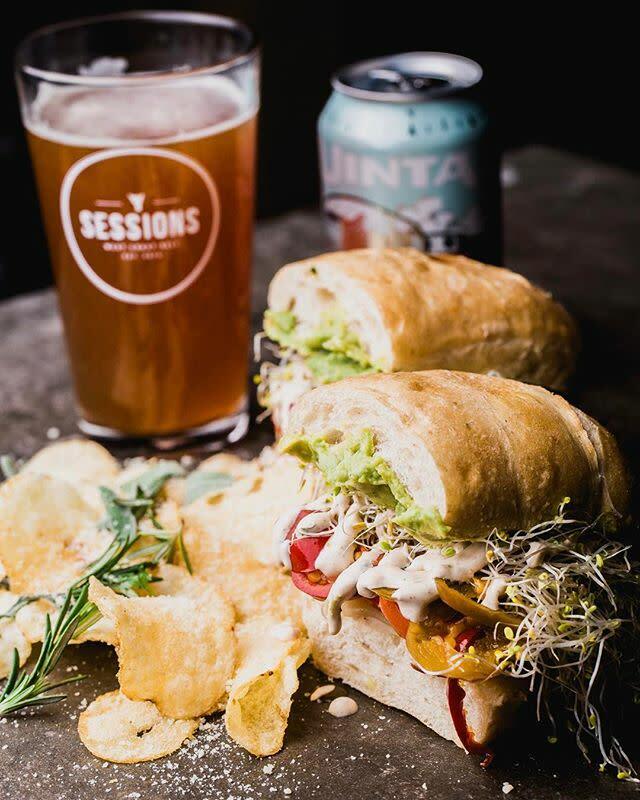 Visit their Tasting Room to try a few of their unique craft brews, and place your order for home delivery! 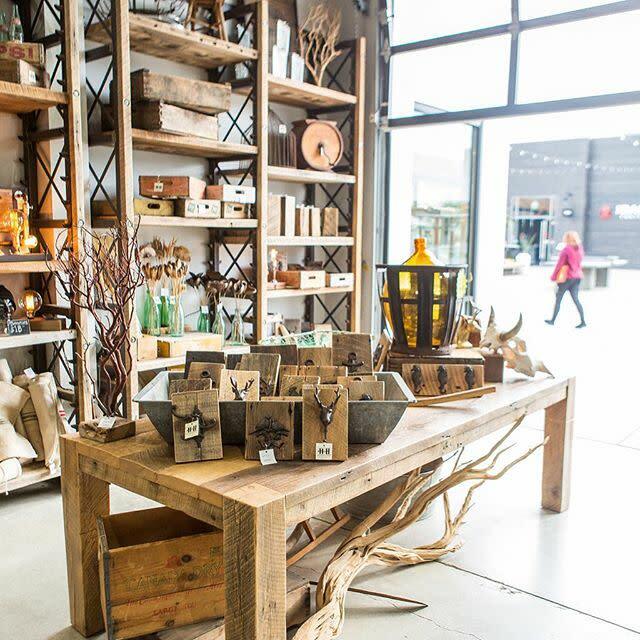 Check out the unique shops in Pacific City, including, Heirlooms and Hardware, where you can find vintage home decor and trinkets, Tankfarm & Co., an OC-based men’s clothing store, and Top Dog Barkery, a shop for all your pet needs. 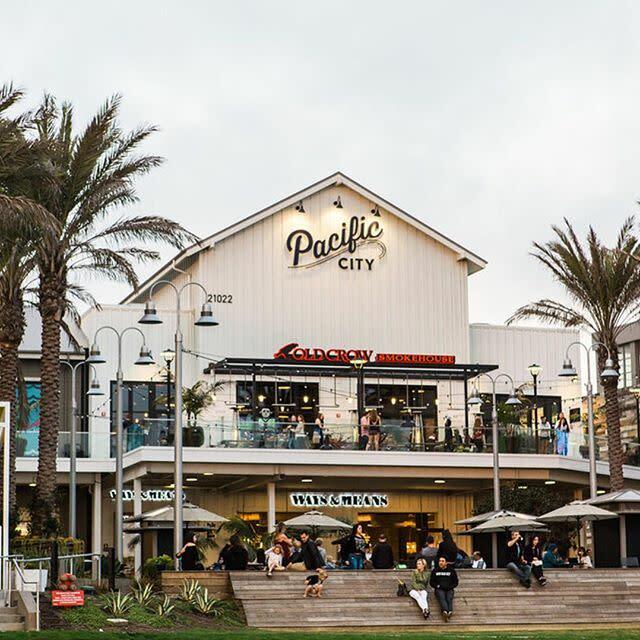 If you’re at Pacific City, you have to check out Orange County’s first waterfront food hall. 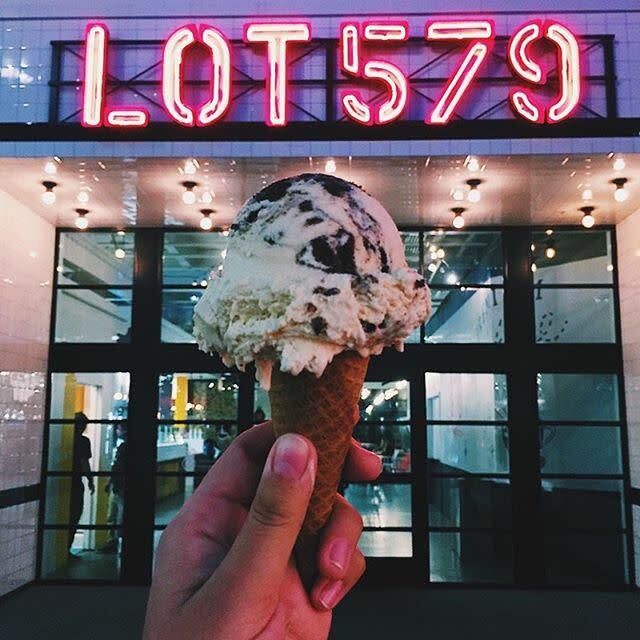 Packed with unique food stalls—from homemade ice cream to gourmet jerky—this is the place to satisfy all of your foodie cravings. 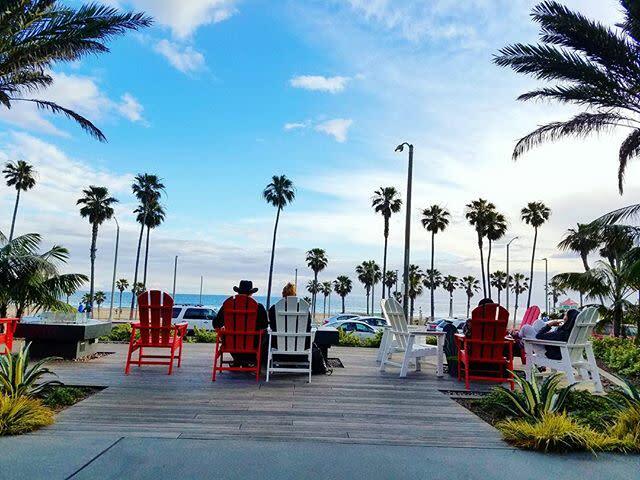 Don’t miss the lot’s anchor restaurants, The American Dream and Bear Flag Fish Co.
After you shop till you drop, take a breather with an ocean view. Lounge for a while on some of the beach chairs or bench seating on the side of Pacific City closest to the water. Looking for a bite? 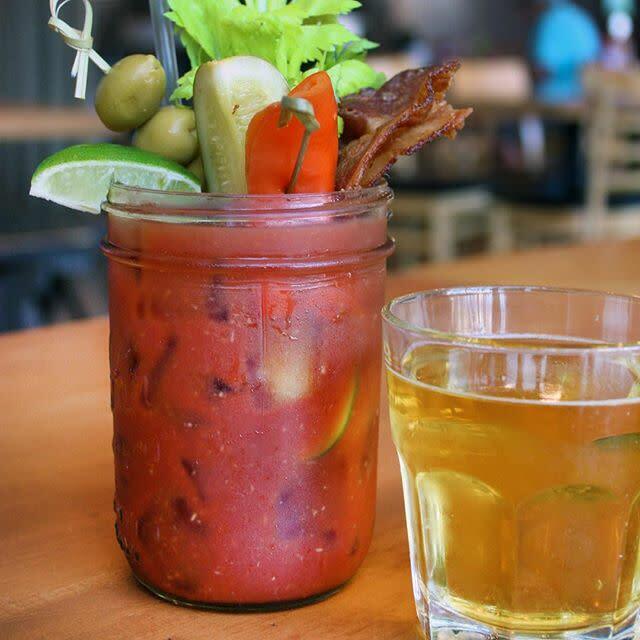 Try a tasty brunch or a Bloody Mary at Mama’s on 39. 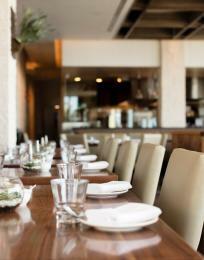 Ready for dinner? 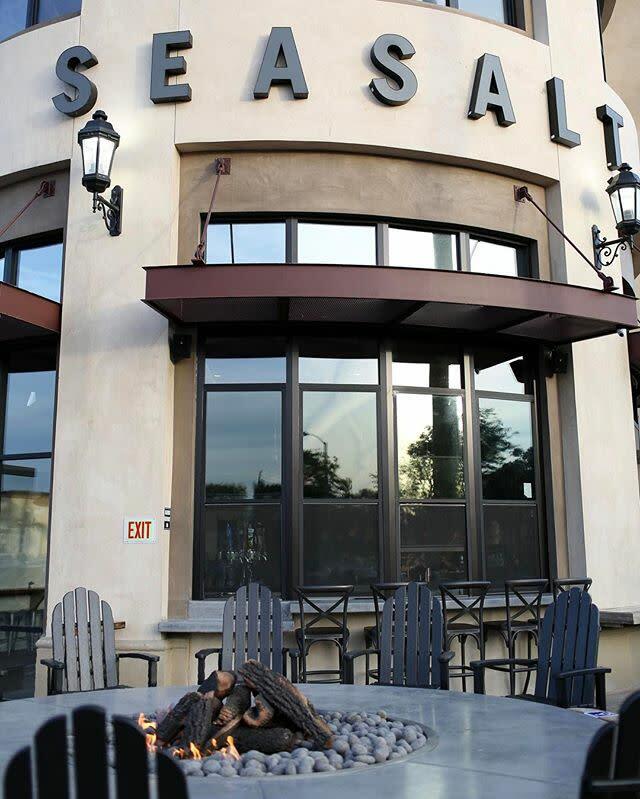 Try SeaSalt Woodfire Grill, known for its “farm to fire” dishes seasoned and grilled to perfection. 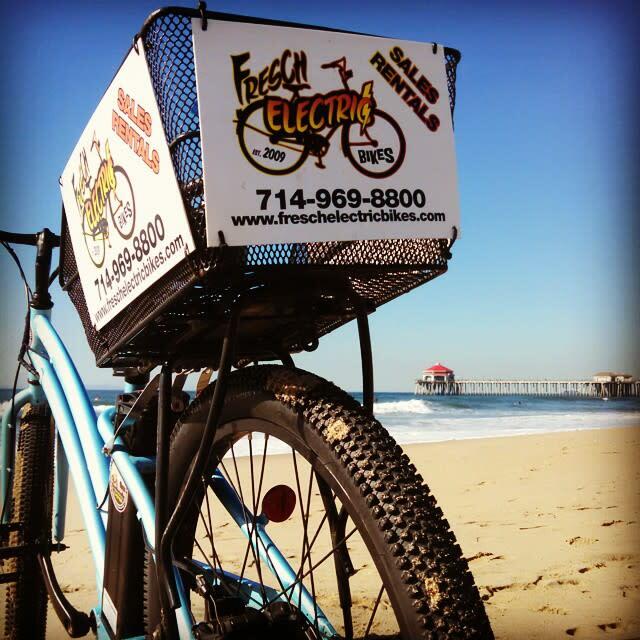 Take a break from riding the shuttle with a bike tour at Fresch Electric Bikes. 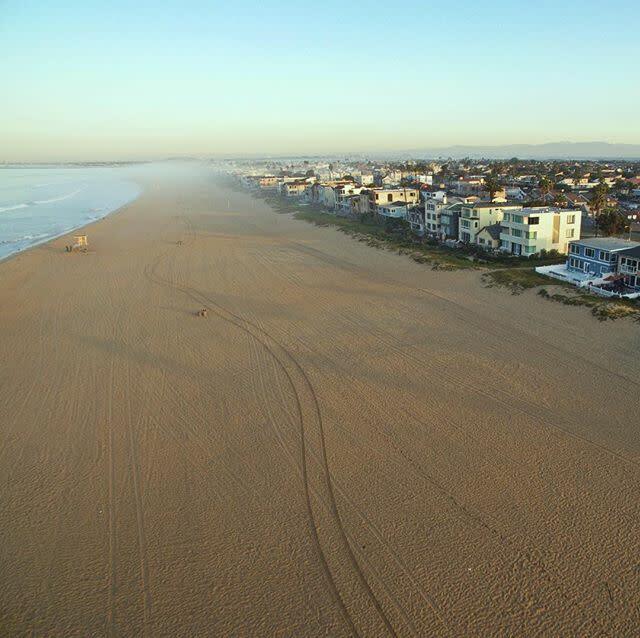 Ride around Huntington Beach or even down to Newport Beach next door. If you want more freedom, simply rent an electric bike for a few hours.